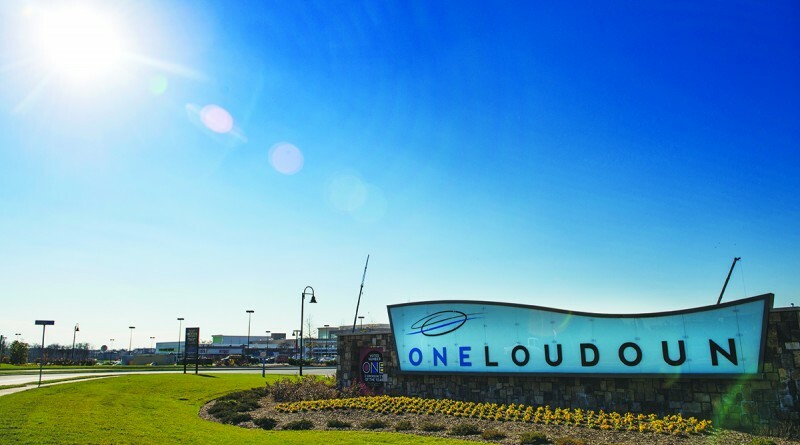 The county Planning Commission last week recommended approval of an application to increase the residential development allowed at One Loudoun and to make other tweaks to the community’s concept plan. Miller & Smith is seeking to rezone 4.66 acres of its large Ashburn mixed-use community from office space to residential for single-family attached units; rezone seven more acres to industrial to permit an 126,000-square-foot self-storage mini-warehouse and 25,000 square feet of commercial development; and develop an additional 685 multifamily residential units and 40 townhouses. The application also removes a full-service hotel from One Loudoun’s concept development plan and would permit residential units with 100 feet of a proposed sports stadium. County planners oppose the application for a variety of reasons, including the design of the warehouse, the possible exemption of $18 million in capital facilities impact, the removal of some open space, and the reduction in setbacks. Much of the debate, which continued past midnight last Tuesday, has centered on a few issued, including a plan to build a large sportsplex that would be operated by the county government and the request to reduce building setbacks. Under the current proposal, county leaders can decide later whether they want the sportsplex, which tourism leaders say will provide an economic development boost. When One Loudoun has reached a certain number of housing units, the county will inform the developer whether it prefers the 80,000-square-foot indoor recreation center or $18.5 million in cash. If the county opts for the sportsplex, it will also sign away a requirement for additional civic spaces around One Loudoun. That agreement still has some skeptics. But the main point of contention for the commission was whether allowing One Loudoun additional exemptions to the 300-foot building setback from Rt. 7. That setback prohibits buildings, but allows other uses such as parking or walking trails. The developer has previously won permission to build ten feet into that space. Miller & Smith asked for permission to reduce that setback to 200 feet on a 300-foot-wide swath of its land. County planners have opposed that request as not fitting into the county’s current comprehensive plan, which is under review. The commission has previously recommended approval similar setbacks nearby on Rt. 7, including 200 feet at Lexington 7 in May. However, over the course of commission’s debate, the setback for One Loudoun’s application was haggled to 245 feet. Miller & Smith Vice President Bill May has said the reduced setback is necessary for “a very high-end entertainment” use. A representative for Miller & Smith has declined to give additional details on the proposed business. Some commissioners worried that the reduced setback would get in front of the ongoing comprehensive plan review and change the look of the entire Rt. 7 corridor. “You’re not trying to change the character of the entire corridor, just 300 feet worth, but that 300 feet is huge, because it chances the character of the entire corridor,” said Chairman Jeff Salmon (Dulles). Blackburn also objected the protracted negotiating over the precise setback. “To keep badgering the applicant to go down by five foot increments is, to be perfectly honest, embarrassing,” Blackburn said. Ultimately, the Planning Commission voted 6-2-1 to recommend approval of the rezoning package, including the 245-foot highway setbacks. Commissioners Eugene Scheel (Catoctin) and Ad Barnes (Leesburg) voted against the application; Commissioner Dan Lloyd (Sterling) was absent. Are the projections for the number of residents, LCPS students, road usage, etc. posted publicly somewhere? At $12K/child/year, an $18M proffer only pays for 1500 student-years of costs. Thus, 700 units with 2 children each produce a loss within 2 years. No other developers were allowed to bid on the rezoning of land to allow 700+ units of high density homes. Thus, we will never know the full value of this rezoning and what the county could have realized on the open market. I think Bob O is right. There is no attempt whatsoever to analyze the actual population/costs produced by these rezonings and the projected populations/costs. No competent businessman (hello Buona) would ever invest without accurate projections and analysis of past decisions. But it appears this is routinely done on the BOS. Utterly shocking for so many supposedly fiscally responsible Republicans to operate like this. I guess I simply wasn’t paying attention for so long. Extremely disappointing. Outstanding quote. Good for you Commissioner Barnes. I’m swiping it from you. Ah yes.. just what Loudoun homeowners need; 725 added on living units. 2016, and county government is still trying to fit 10 pounds of stuff into a 5 pound bag.